The Joint Working Groups made up of representatives of the United States and the Cooperation Council for the Gulf Arab states will meet at least twice per year to work on combatting terrorism and other issues, the White House said in a statement on Tuesday. 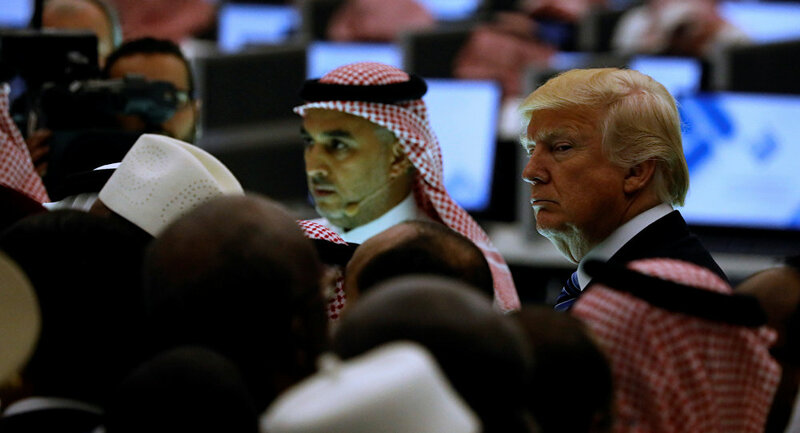 WASHINGTON (Sputnik) — On Sunday, US President Donald Trump participated in the Arab Islamic American Summit held in Saudi Arabia along with the leaders of the Muslim-majority countries. "The leaders directed the joint working groups to meet at least twice a year to accelerate the partnership on, inter alia, combating terrorism and facilitating the transfer of sensitive defense capabilities, the defense against ballistic missiles, military preparedness, and cyber security in order to ensure the continuity of these activities and accelerate implementation of the decisions contained in the joint statement of the second Gulf-American Summit on April 21, 2016," the White House stated. During his speech at the summit, the US leader accused Iran of supporting terrorists, militias and extremist groups that spread destruction and chaos across the Middle East. Iranian President Hassan Rouhani said during a press conference on Sunday in Tehran that the meeting was for show and had no political value.